Its name SOHO is an acronym for Small Office Home Office. 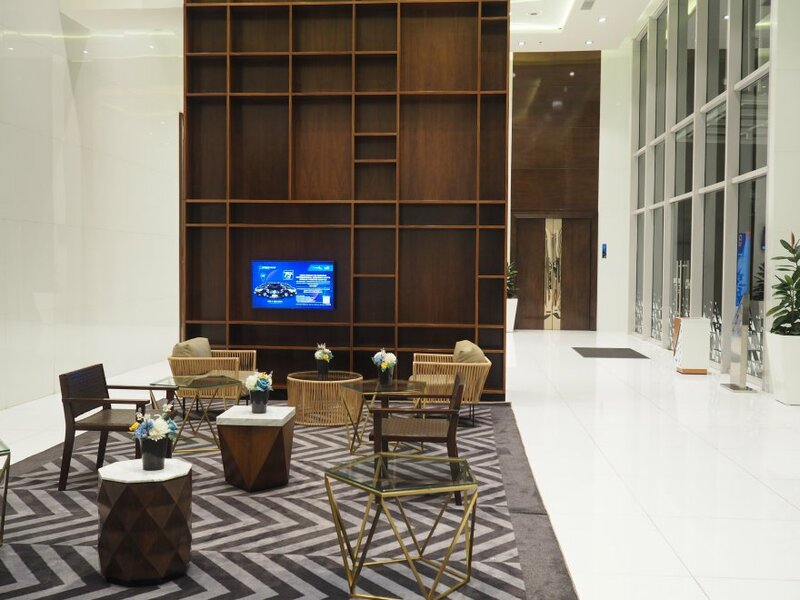 According to this concept, Neo Soho welcomes both residents and small companies. 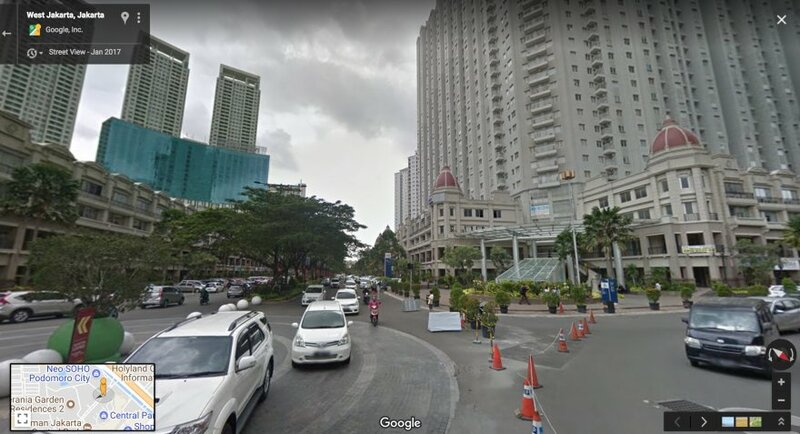 It is very similar to Citylofts Apartments in Sudirman. 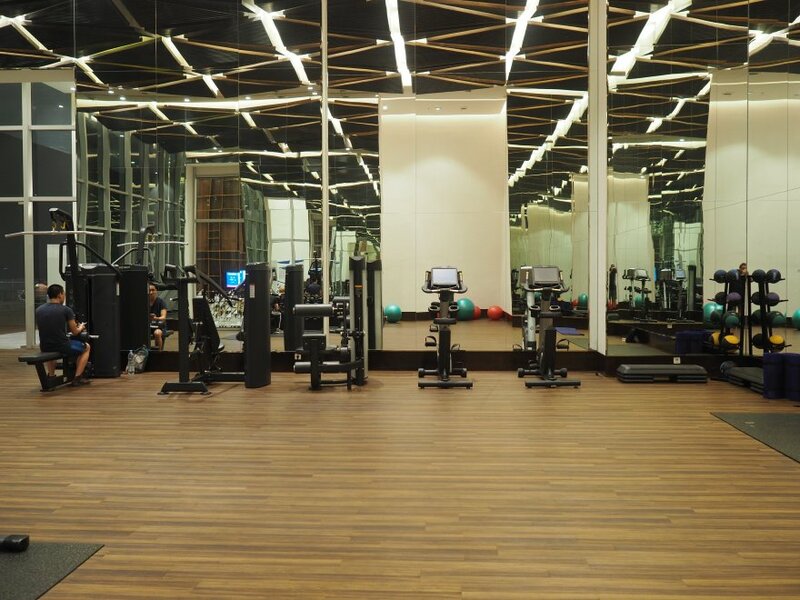 Another particularity of Neo Soho is that its units have a high floor (5.8 meters) and a mezzanine. Note that the following section is partially copied from my review of Mediterania Garden Residences 1. Neo Soho Apartments is part of Podomoro City, a 25-hectare superblock developed by Agung Podomoro Land that includes several apartment complexes (Mediterania Garden Residences 1 & 2, Royal Mediterania Garden, Central Park Residences, Madison Apartments), two office towers (APL and Soho Capital), two malls (Central Park and Soho) and the Pullman Hotel. Podomoro City itself is in Grogol Petamburan, a middle-class district of West Jakarta. 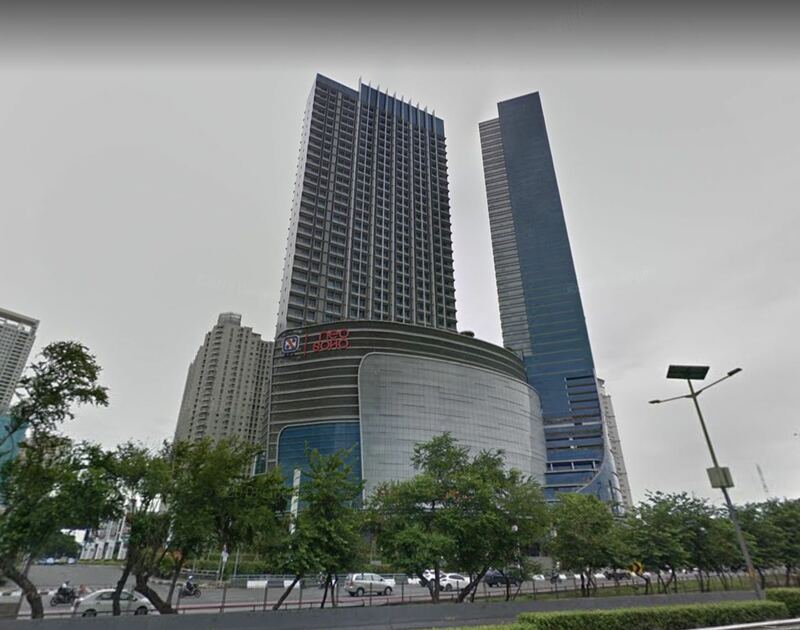 It is partly residential, with a strong Indonesian Chinese community, but it is also a commercial and transportation hub due to its strategic location at the intersection of important highways (Jakarta-Tangerang and Jakarta Inner Ring Road). 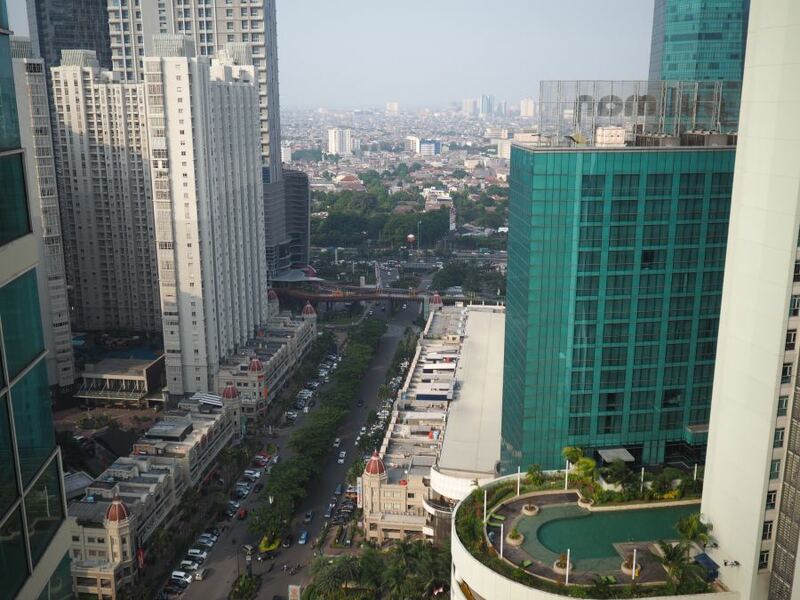 Podomoro City is a modern area that does not look at all like a typical Jakarta neighborhood. 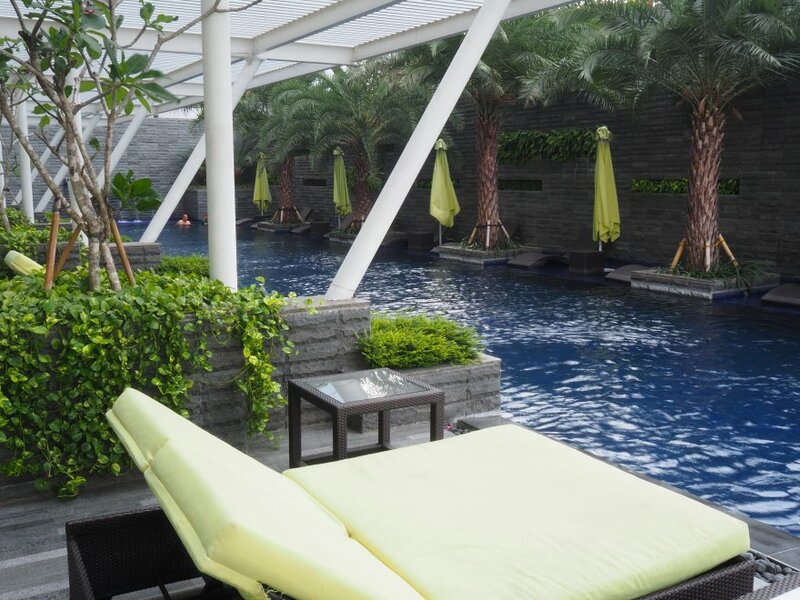 It is made of wide streets, such as Jalan Podomoro Avenue, that are bordered with malls and residential complexes. If you don’t mind the heat, you can walk along those streets, shop in rukos (boutiques) or eat in various coffee shops. 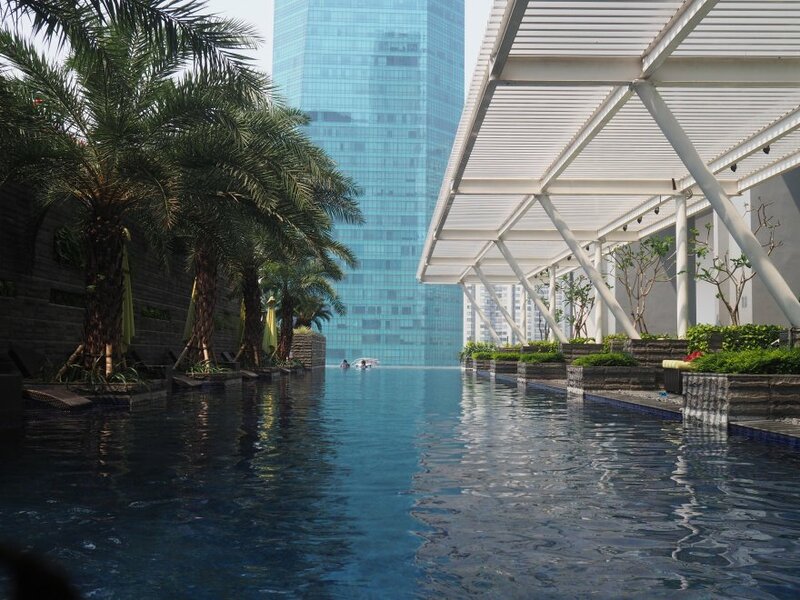 It is cleaner and more pleasant than elsewhere in Jakarta as the city is managed privately and not by the government. 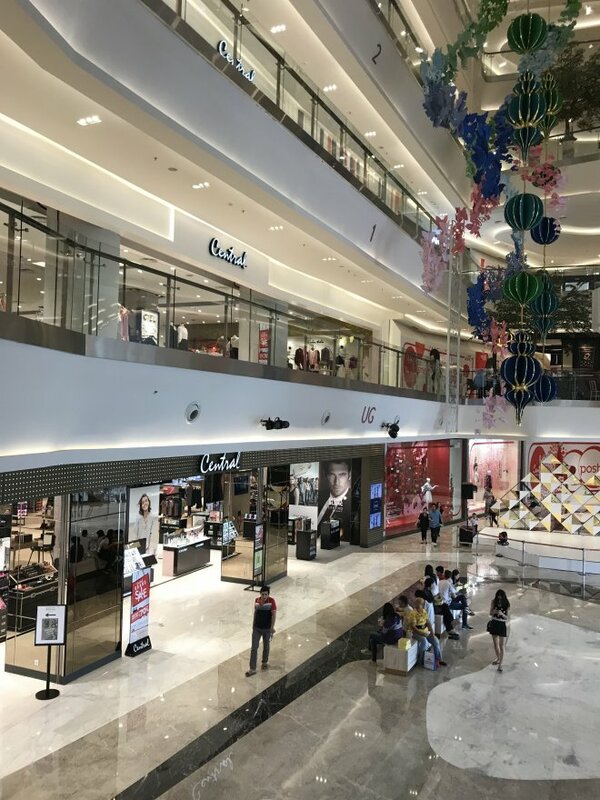 Neo Soho: One of the newest malls in the city, it is attached to Neo Soho Apartments. It is not too crowded at the moment and the main attraction there are the Central department store and Jakarta’s largest aquarium. There are also dozens of restaurants. 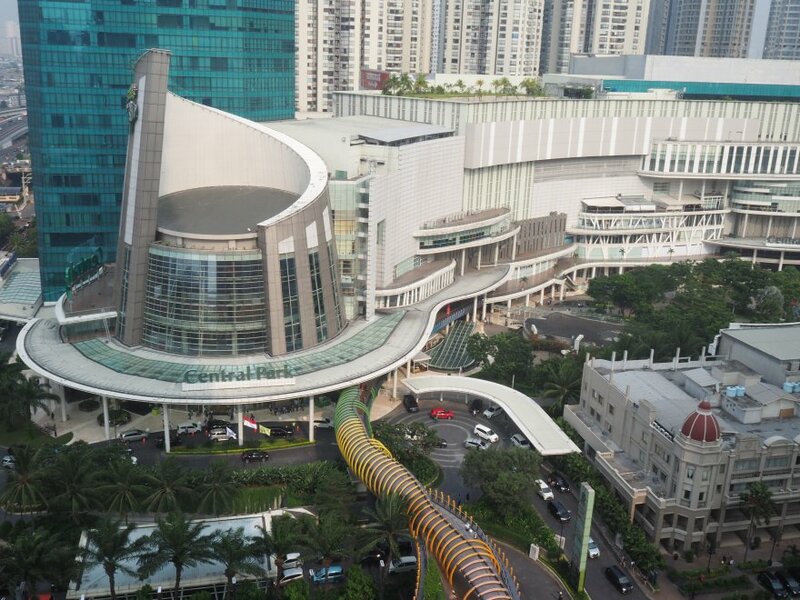 Neo Soho Mall is connected to Central Park Mall through a tunnel and through a skywalk. 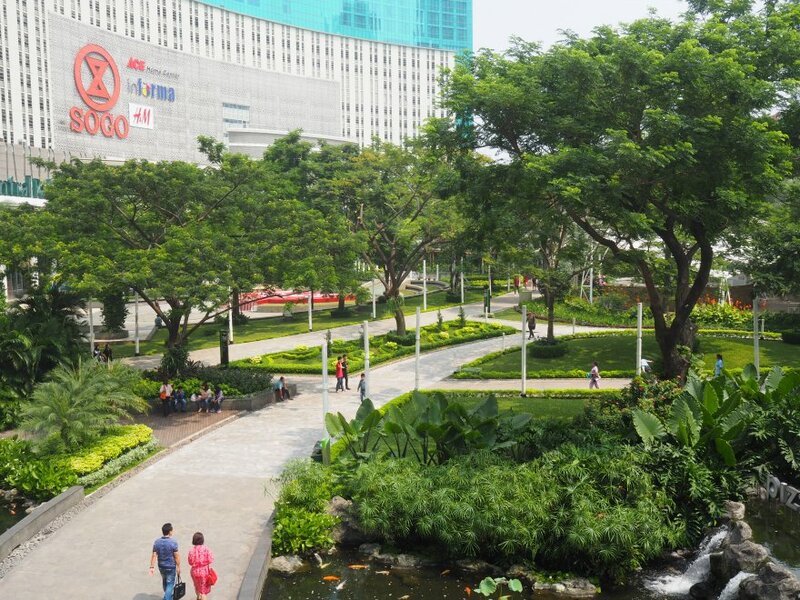 Central Park Mall: A middle-class mall, popular with young people, with an outdoor area (called Tribeca Park) and a large number of affordable fashion shops (Sogo, Mango, Guess, Marks and Spencer, Pull & Bear, Topman, Stradivarius, H&M, etc.). Also a cinema, a supermarket, a gym, cafés, restaurants, bars, salons, banking and travel services, etc. 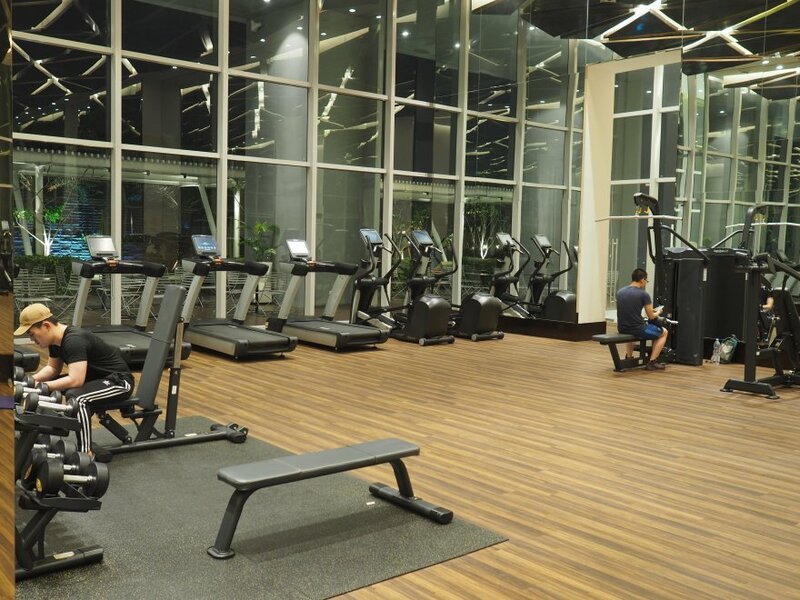 Taman Anggrek Mall: It is not part of Podomoro City but you can reach it by foot in less than 10 minutes. It is a middle-class mall as well, very busy, with an ice-skating rink on its last floor. It also has a cinema and a gym. 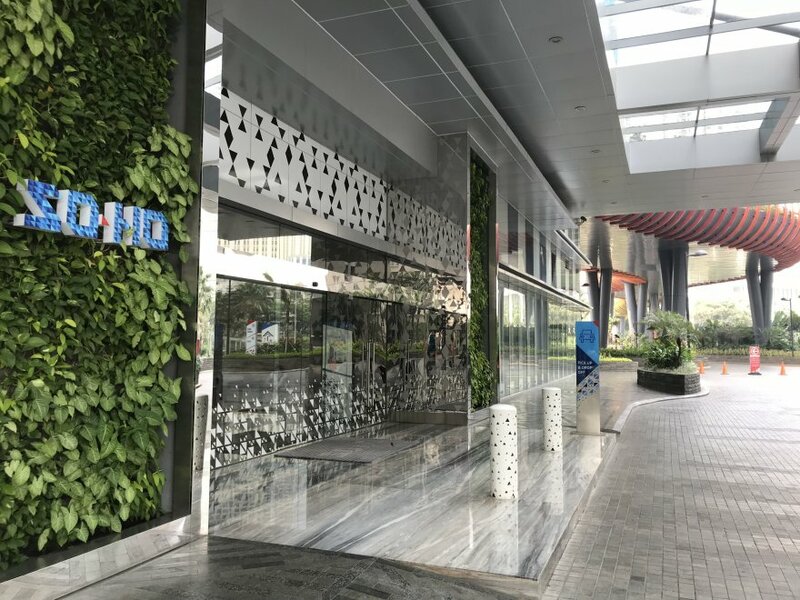 You can also reach a few more malls nearby in less than 10 minutes by car (for instance Ciputra Mall or Seasons City, both for low-to-middle income customers). 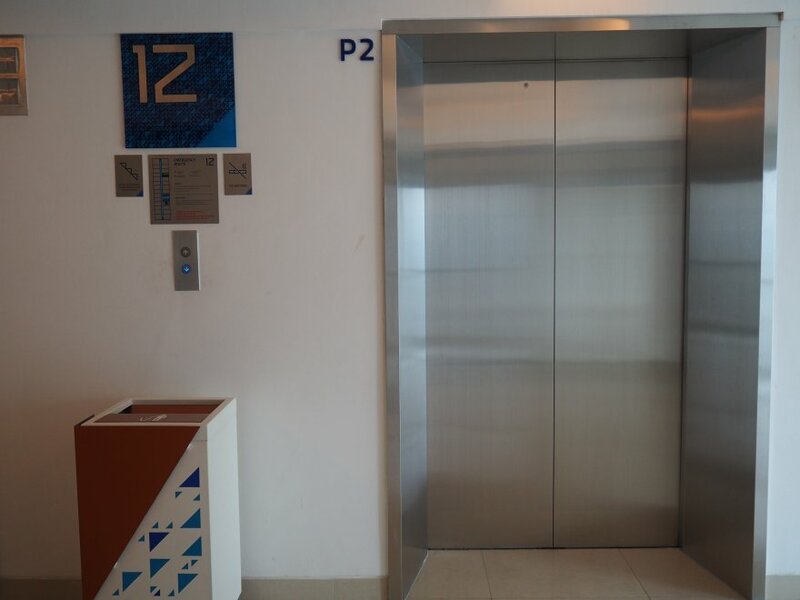 There is a Giant Express supermarket inside Mediterania Garden Residence 1, a Transmart Carrefour in Central Park Mall and a Hero Supermarket in Taman Anggrek Mall. There is plenty of choice for eating out, from cheap canteens to upper-class restaurants. Most of them are in Soho and Central Park mall, serving Indonesian, Chinese, Japanese or Korean food. In Mediterania Garden Residence 1 and 2, you also have some canteens and warungs serving cheap and healthy food. While Podomoro City is not the best area of Jakarta for nightlife, there are enough bars to have a pleasant night out. I recommend going to Central Park Mall and visit venues like La Bière, Pizza e Birra, Bistreau and People’s Café. There are 4 large private universities within less than 2 kilometers: Universitas Podomoro (within Podomoro City), Universitas Kristen Krida Wacana (UKRIDA), Universitas Trisakti and Universitas Tarumanegara. Note that all of these universities have a high number of Indonesian Chinese students. A bit further, you also have Universitas Esa Unggul and BINUS (Anggrek campus). SMAK 1 BPK Penabur, a reputed Christian high school. There are quite many in Podomoro City. The most reputed are Kidea and Little Giants Preschool. There are some specialized hospitals nearby, such as Dharmais Hospital (Cancer), Harapan Kita (Heart Disease) or Grogol Hospital (Mental Illness). 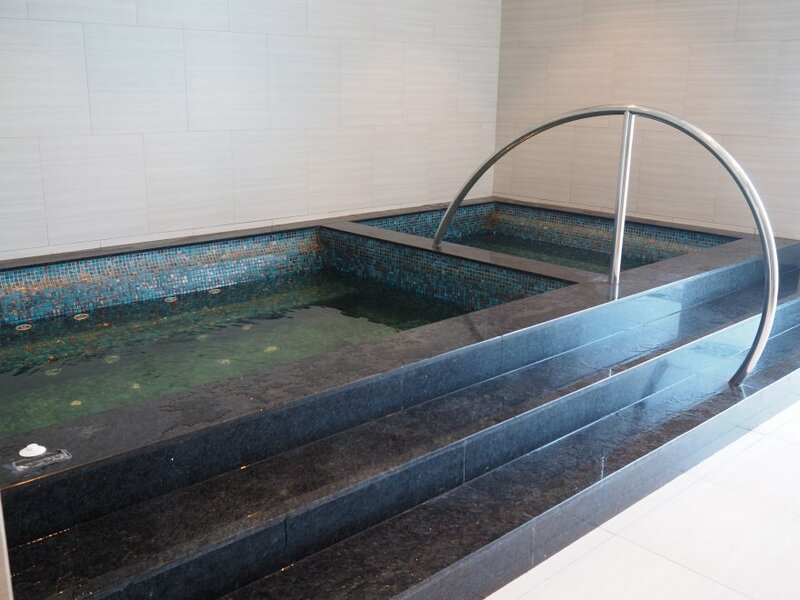 Hospital Royal Taruma is the closest one with multi-specialties. Siloam Kebon Jeruk is 4 kilometers away. Taman Cattleya (or Taman Toman) is a free park on 3 hectares just 2 kilometers from Podomoro City. Nearer, you can go to the tiny Tribeca Park which is part of Central Park. 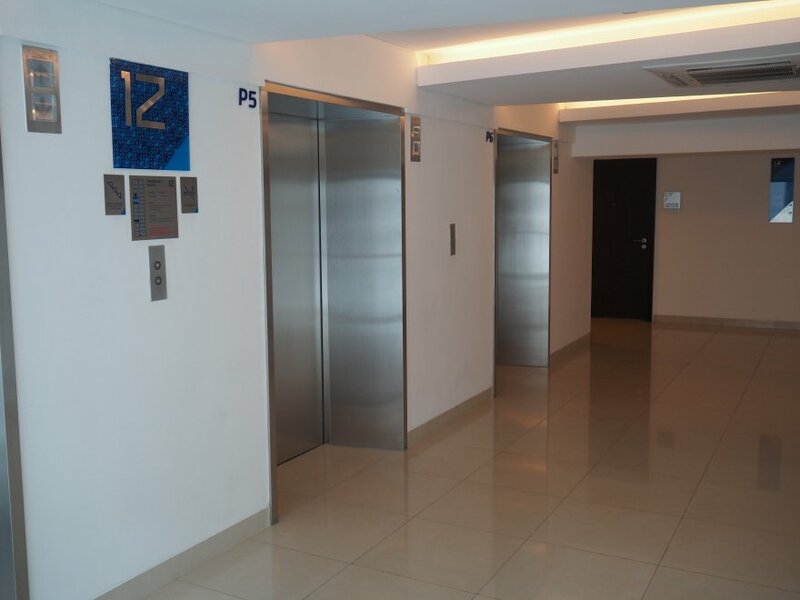 There are not that many office buildings for the moment near Podomoro City, except APL tower and Soho Capital. If you are a young professional, this means you will probably need to go to the Sudirman area every day. On average, you will need at least 30 minutes (double if there are a lot of traffic jams). 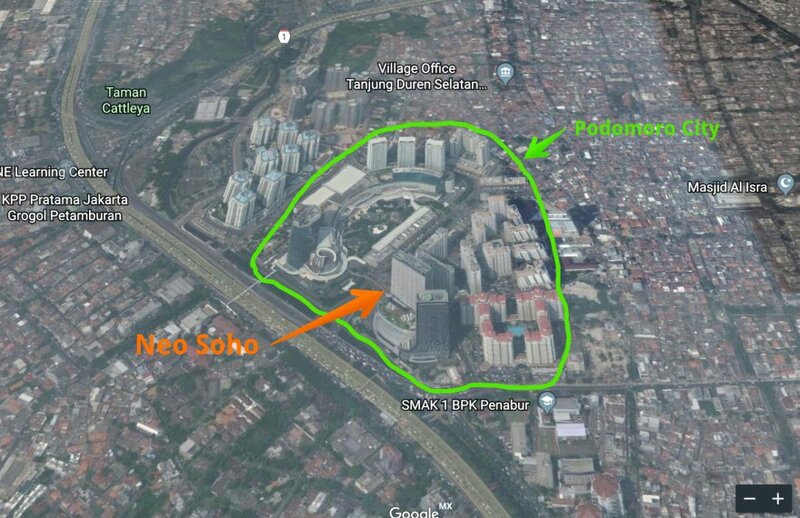 The location of Neo Soho is quite strategic for West Jakarta. The Jakarta Inner Ring Road is within a few minutes and it circles the city. It goes to Sudirman, Rasuna Said, Gatot Subroto, Pluit, Mangga Dua, Cililitan and the Airport. The center of Jakarta (MoNas) can also be reached via Jalan Tomang Raya. 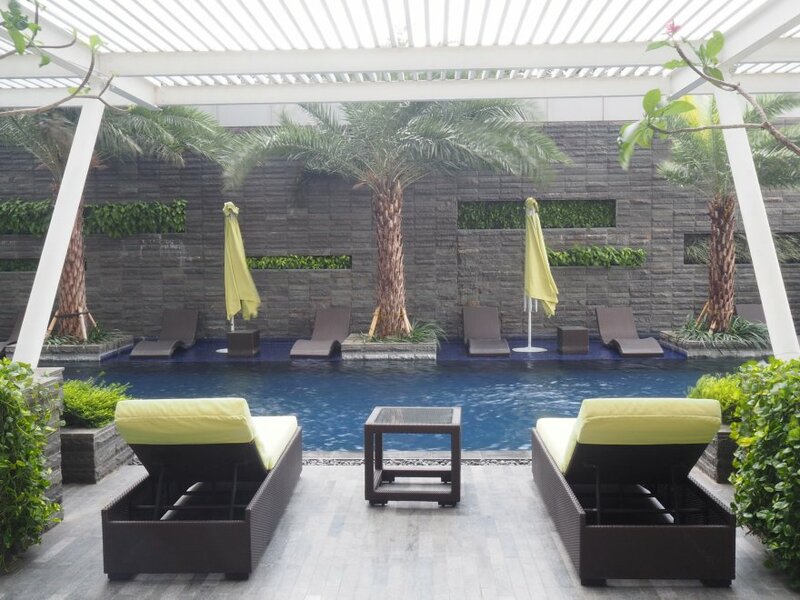 Nearby, you can catch the Jakarta – Tangerang highway, going to Puri Indah, Alam Sutera, Karawaci up until Merak. The access to Podomoro City is often difficult because of massive traffic jams near the toll gate exit and Jalan Podomoro Avenue entrance. 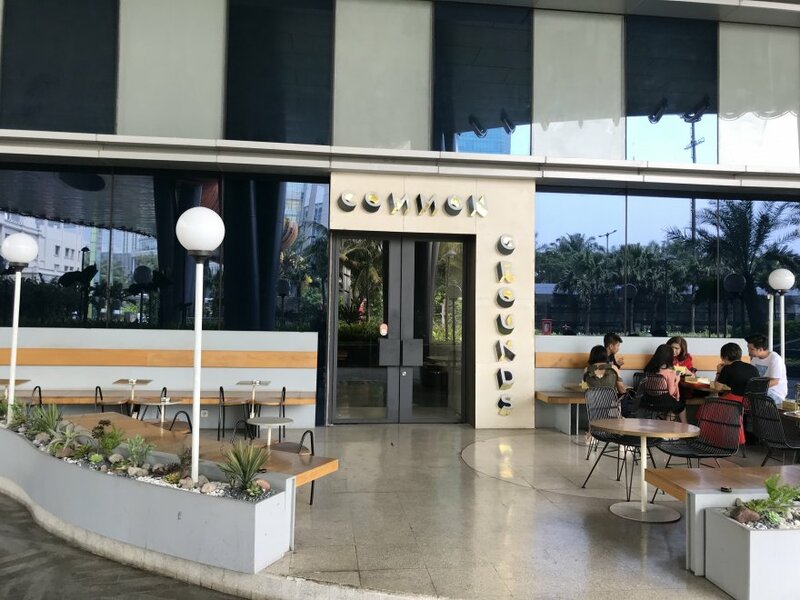 If you go to Central Jakarta, you will also need to do a long U-turn (or make a significant detour through smaller streets in Tanjung Duren). Naturally, the worst time is in the morning or evening, when people go to or come back from work. It is also terrible on weekends, especially Sunday afternoon. Sometimes, you’ll need 30 minutes only to exit or enter Podomoro City. Something worrying is that more apartment buildings are planned in the future in Podomoro City. The traffic situation is likely to get worse. There is a stop on Jalan Toll Letjen S. Parman, opposite Central Park Mall. You need 10 minutes to go there by foot. 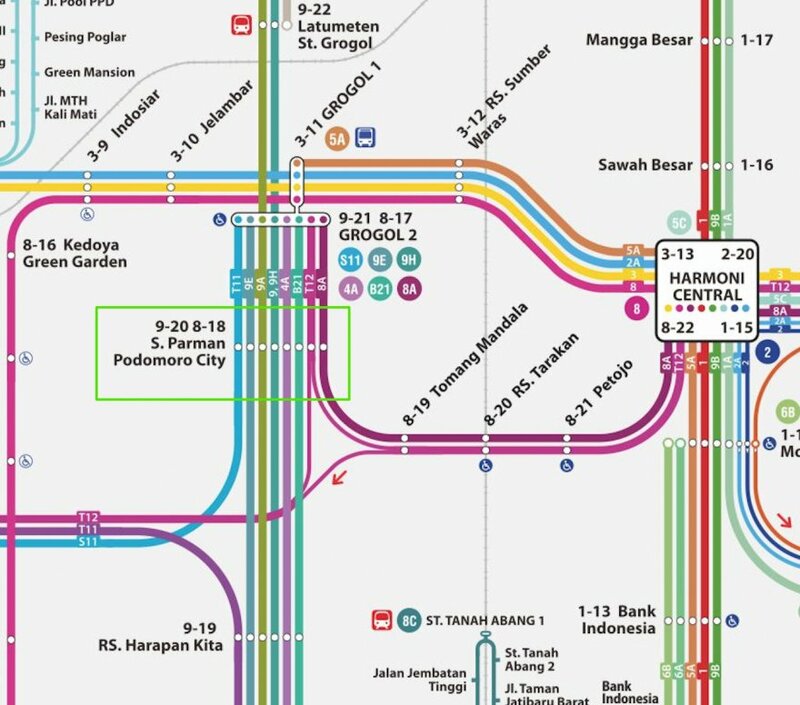 It is served by 8 different lines going to many important places in Jakarta (Pluit, Senayan, Karet, PGC, etc). Grogol station is 2.5 kilometers away. It is a stop on the brown line from Tangerang to Duri. How about the MRT (Mass Rapid Transit) or LRT (Light Rapid Transit)? An LRT line is planned between Grogol-Palmerah. It is the third phase of the project and you cannot expect it to be operational before 2020. The exact location of the station is unknown at the moment. Yes, there are decent sidewalks but they can only walk around Podomoro City. The developer, Agung Podomoro Land is one of the most famous in Indonesia. 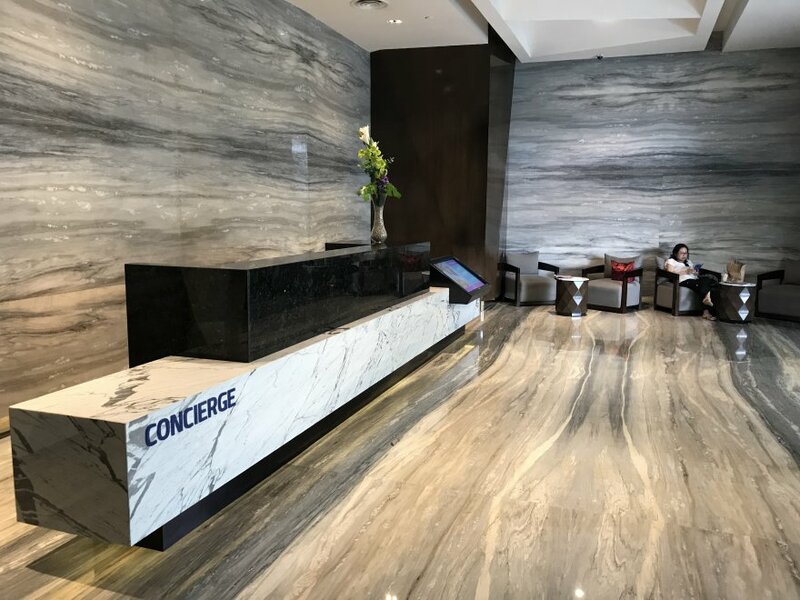 They have a large portfolio of completed projects, many of which I’ve reviewed here already (Metro Park, Thamrin Residences, Sudirman Park, Kalibata City, etc). 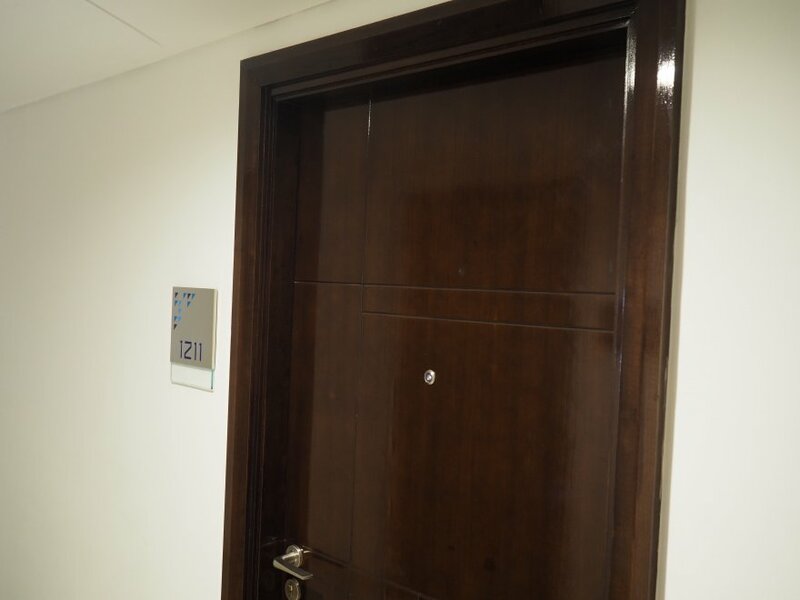 While they are generally trustworthy, the quality of the maintenance of some of their properties is not adequate. This is especially true with the oldest ones such as Mediterania Gajah Mada. 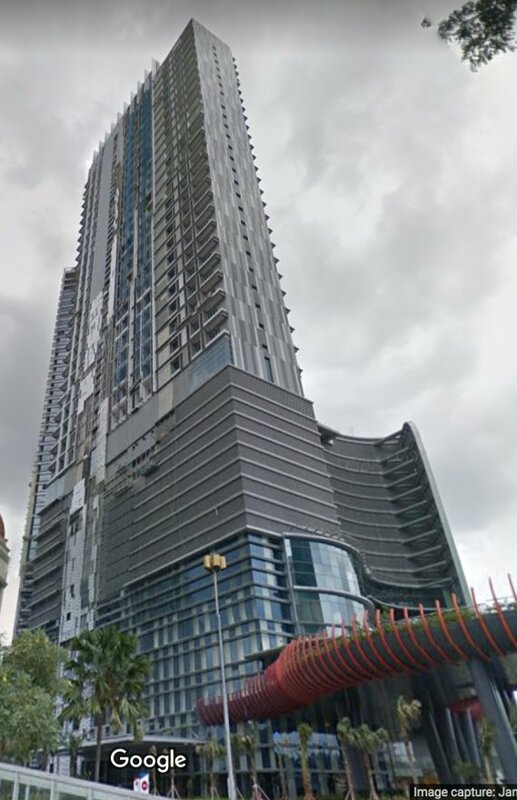 Was there any issue with Neo Soho Apartments? 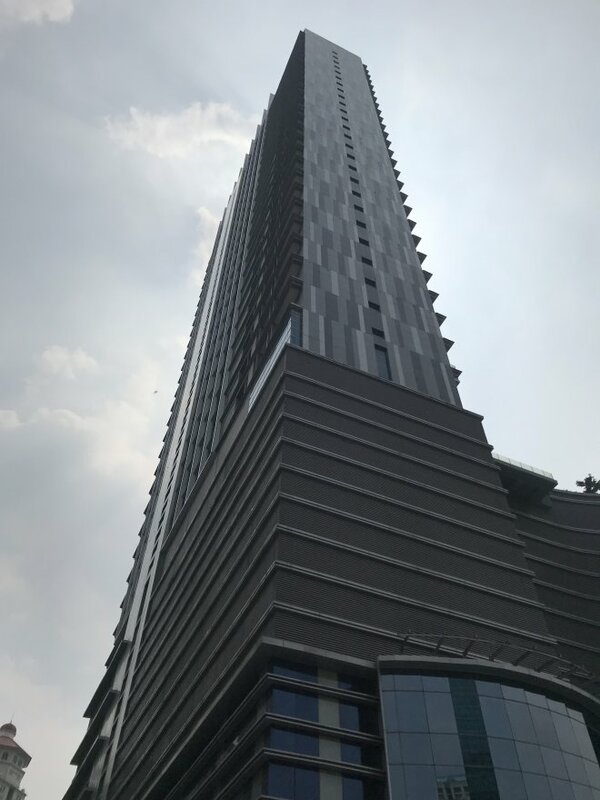 In 2016, an impressive fire spread on several floors of Neo Soho Apartment, while it was still under construction. No casualties were reported and the causes are unknown. 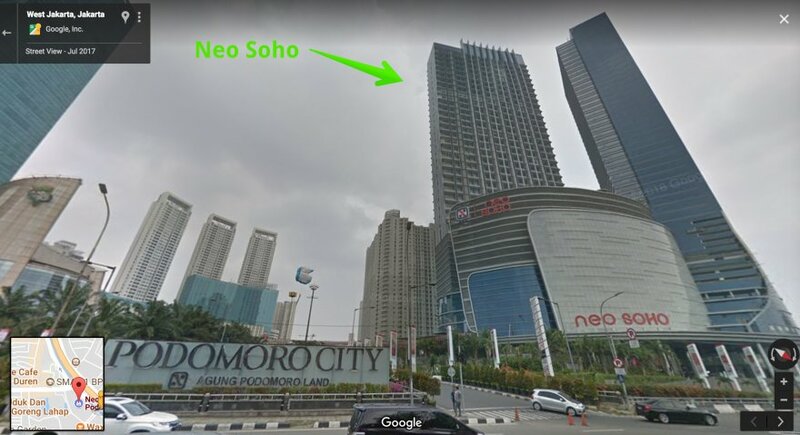 The architect for Neo Soho was DP Architects, a firm from Singapore that was also behind buildings like Kemang Village, The Peak Sudirman, Senayan City and Central Park. 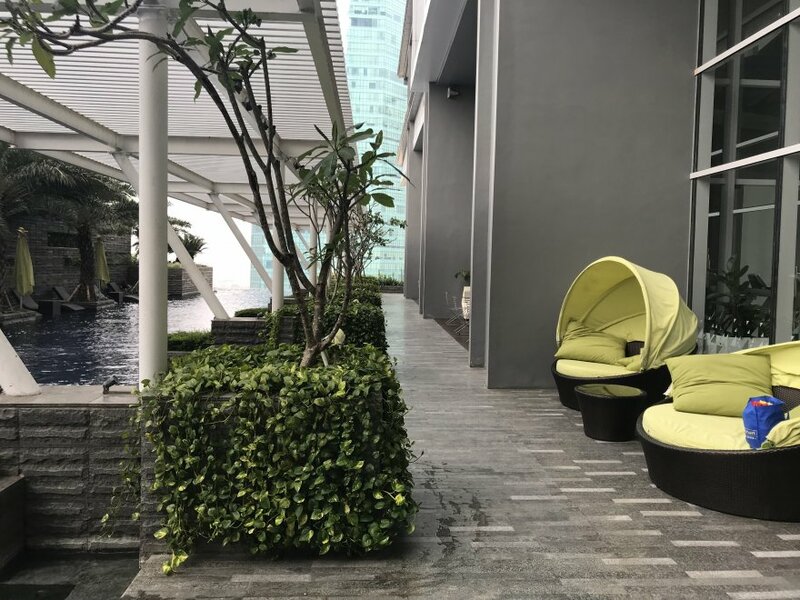 For the interior design and the landscaping, the consultants were the California-based Bennitt Design Group who also worked on Kuningan City and Baywalk Pluit. PT Nusa Raya Cipta was the main contractor. Most of the public areas of Neo Soho Apartment is above the mall. 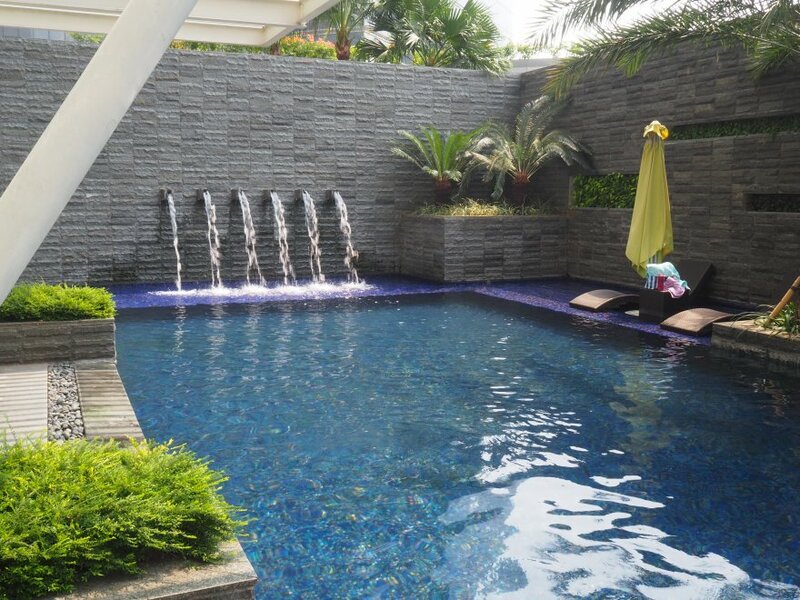 It consists mostly of the pool and the Sky Terrace. It is quite narrow but still rather pleasant with lot of plants and trees. 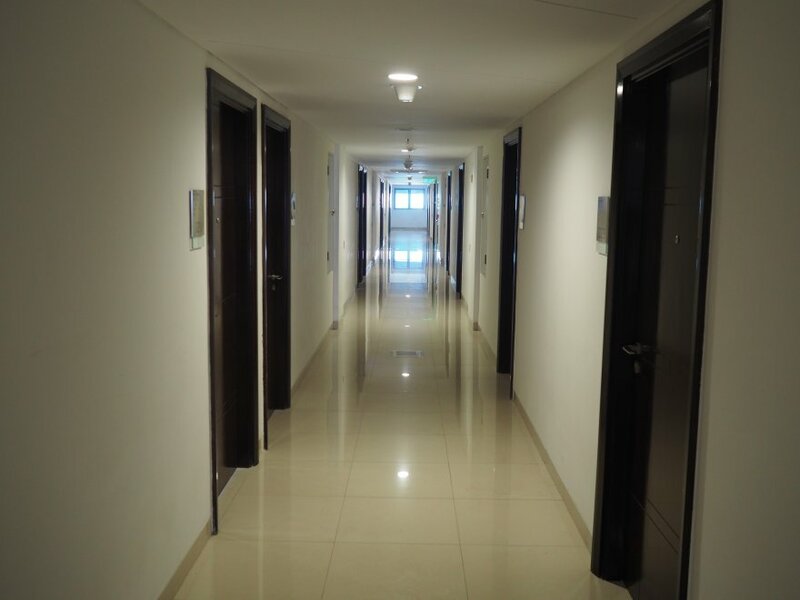 The corridors look simple (white walls, medium tiles). It corresponds to the standards of a midrange property. Each unit has a mezzanine and a balcony. 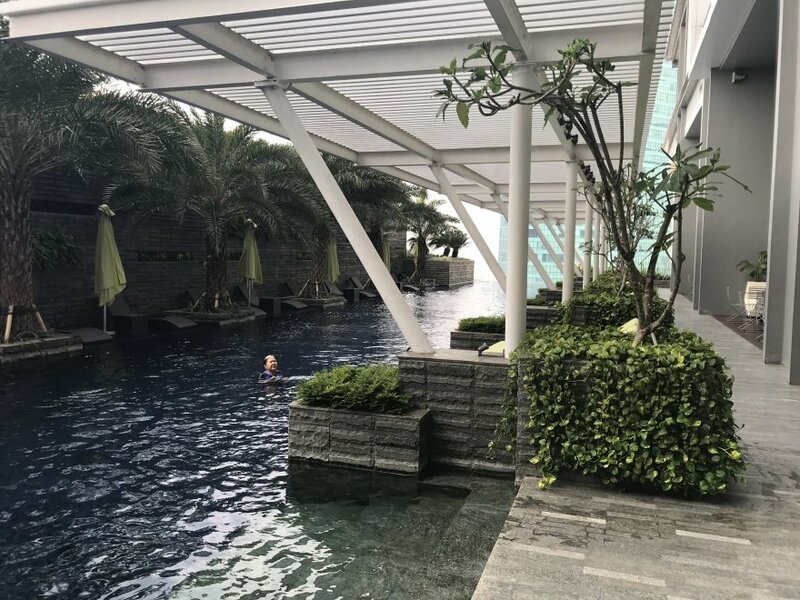 – Infinity swimming pool: It’s narrow but long enough to swim. The water can be quite cold as it is in the shade most of the day. Nice view of Podomoro City from the end of the pool. 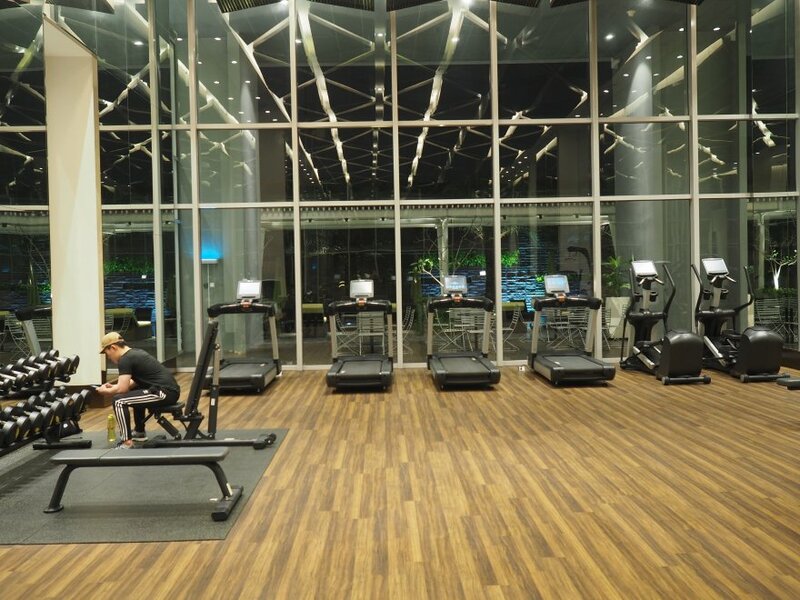 – Gym: The equipment in the gym is brand-new and professional. There is plenty of space too. It is lacking free weights, though (no barbells). Next to it, there is a jacuzzi, a hammam and a sauna. 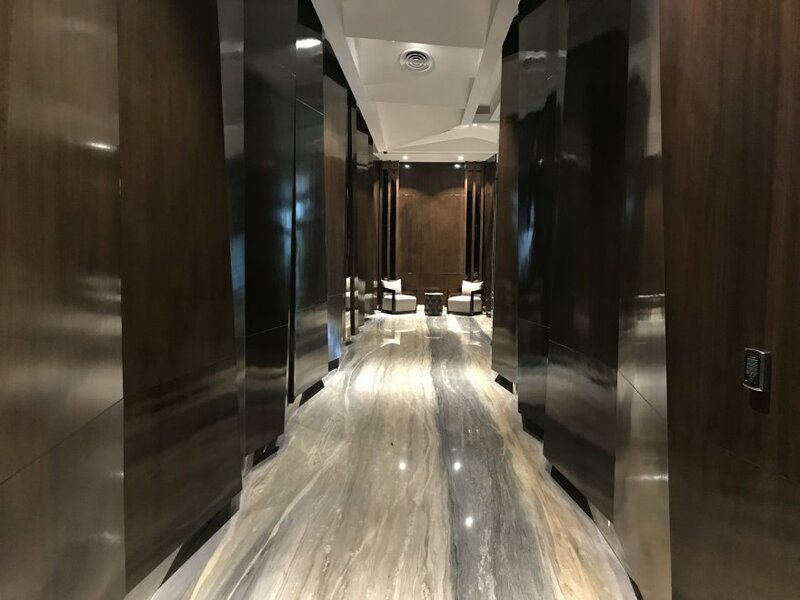 There are not many services right in the property, but you can go to Neo Soho Mall or Central Park Mall from 10 am to 10 pm for most of your needs. 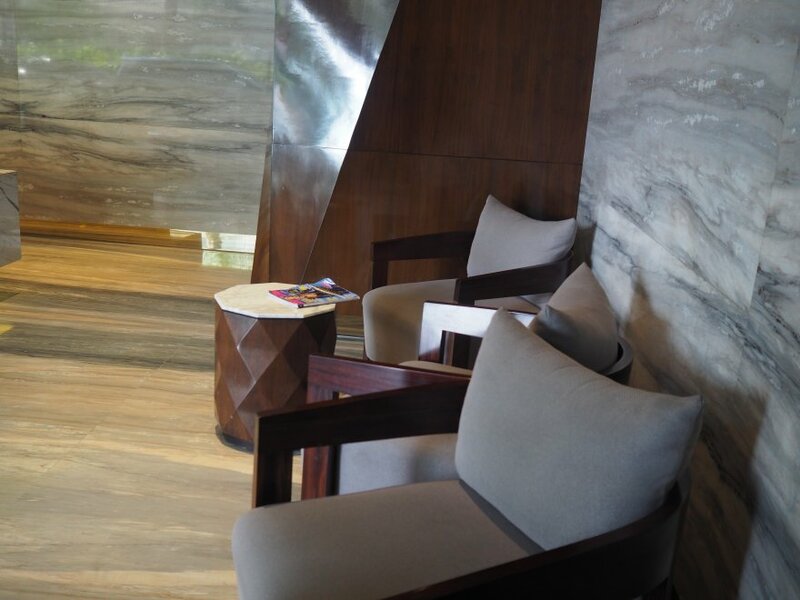 Also, you can go to Mediterania Garden Residences just across the road if you need ATMs, canteens, Laundry, salons, etc. The property is still new and there are not many residents yet. Yes if you are facing the highway Jalan Tol Letjen S. Parman. Avoid this side. Most residents are Indonesian Chinese. It was completed in 2018. Very few for now, fortunately. 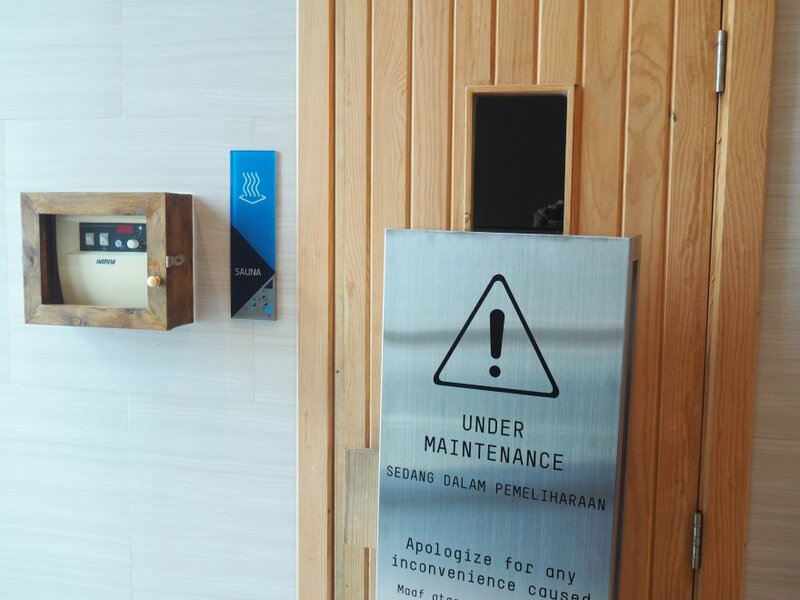 – CCTV cameras: In the lobby and lift. 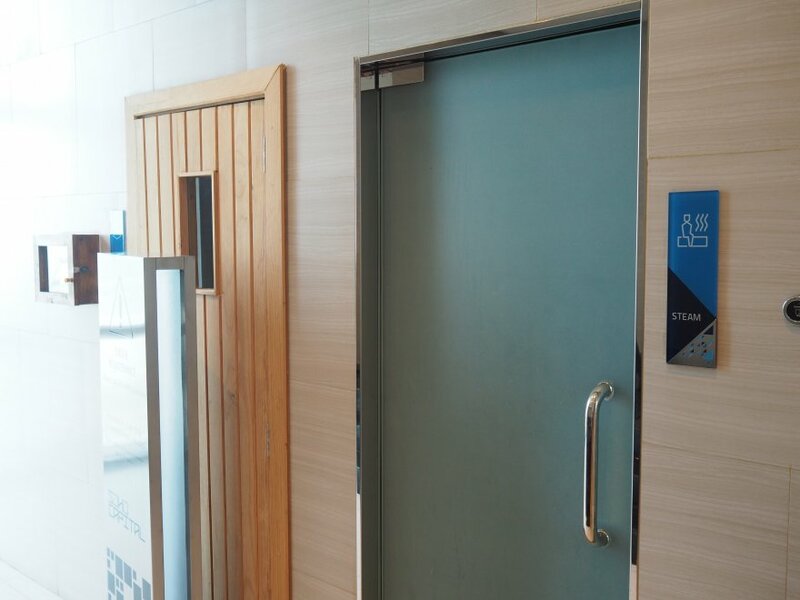 – Access card: You need an access card to enter the lift area. 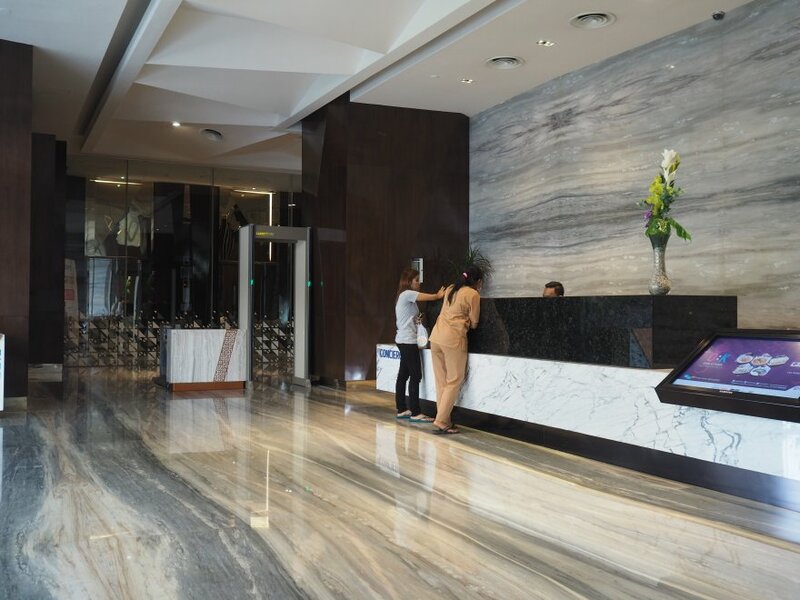 Prices at Neo Soho Apartments may vary depending on many factors such as the floor, the unit type, the room condition and the furnishings. I would recommend the units facing the east as they will be less noisy. The buying price of Neo Soho Apartment is a bit high in my opinion. 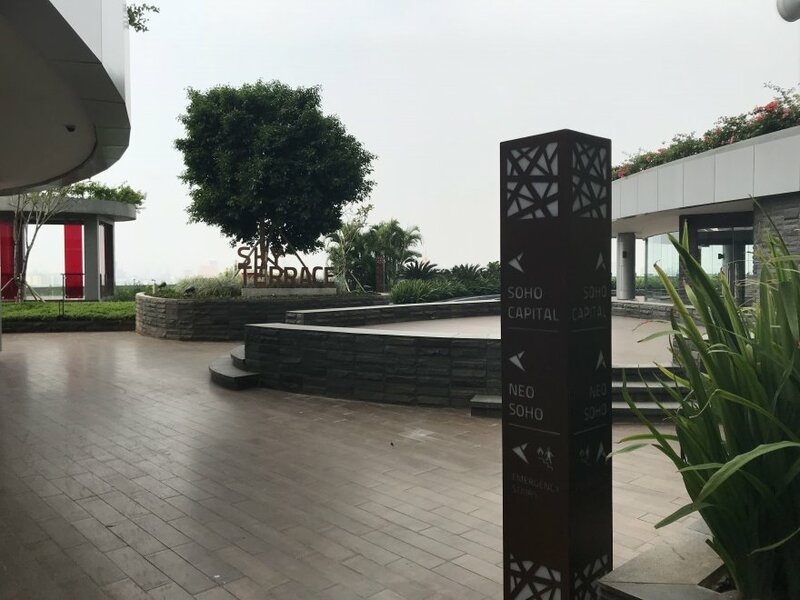 Yes, it is well-located, attached to a mall, and it has fairly good facilities, but the ratio Buying Price/Rental Price is over 23 years, which means it will take too much time before you break even.